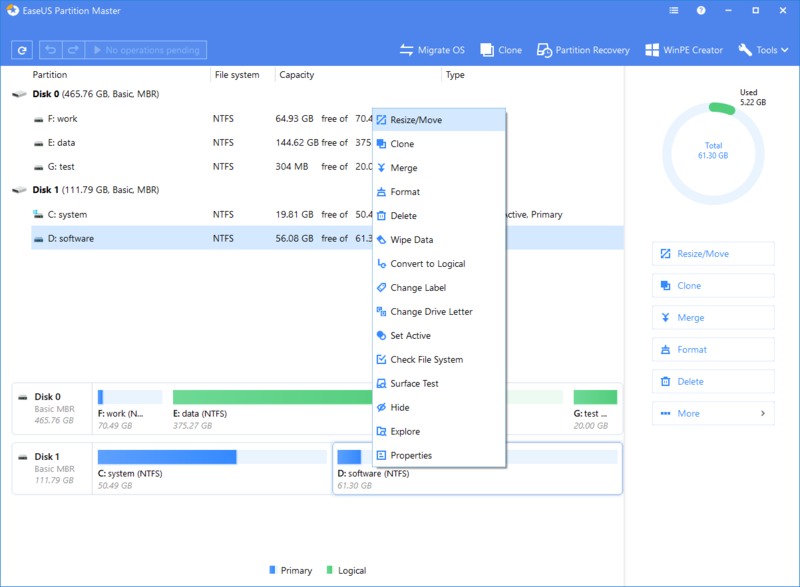 EaseUS Partition Master proves that you don’t need to be a pro to organise your hard disk. You don’t need any training to use this free tool. Simple follow the steps to resize your partitions and improve the performance of your disk with just a couple of clicks. Resizing your disk partitions is now as simple as counting from 1 till 3. Step one; simply select a partition you would like to edit and click “Resize/Move partition”. Step two; fill in the new size of the partition using your keyboard or by dragging the storage bar. Step three; preview your choice and click “OK” to confirm. That’s it, you now have resized a partition on your hard disk. Why? You might be wondering why you would like to resize your partitions with the EaseUS tool. The main reason to do so is to be more organised and to guarantee the safety of your data. It is advised to separate your personal data from the system data. To protect your data simply install Windows on one small partition (C:) and never use this partition for anything else. When you would like to move photos or personal documents to your computer, copy them to a personal partition (D:). You can even create a third partition (E:) for all your work data. When something happens to partition C, you still have access to your personal and work data on partitions D and E.
It is also a lot easier to create a back-up from all your files when you separate your content on multiple partitions. Simple copy the whole partition E to an external hard-drive or the online cloud to secure all your work data. No need to search for specific content and waste your time. 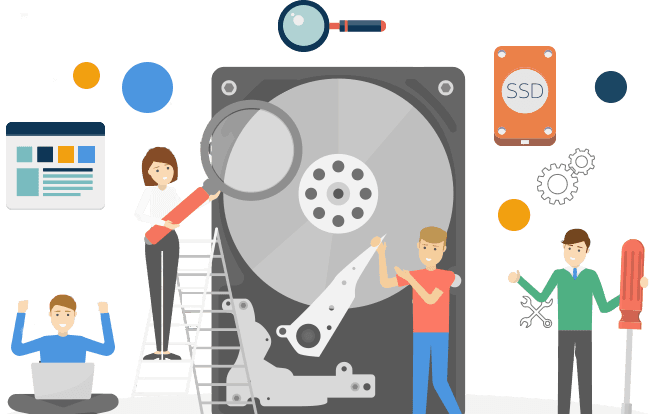 Another reason to separate your personal data from the system data is the speed of your operating system, because the operating system needs some space on its partition to operate smoothly. When you never use the operating system-partition for personal data, there will always be space left that the operating system needs to run smoothly. By the way, EaseUS Partition Master can be used for HDD, SSD, USB, SD card, memory card and more. So, what are you waiting for, start organising your computer as well as your external storage devices with EaseUS Partition Master. The best thing of all, it is completely free.